Well, if that's the case, I actually agree with your sorting method more. I just have seen threads move from Xbox to multiplatform because of PC. I believe Titanfall and some others, including the DX12 thread. Kind of annoying, to me. I would just like to see a little consistency with this on UVGF. I wouldn't mind more of these threads being posted as multiplat. No one seems to like any mentioning of PC in an Xbox thread even when game releasing on Xbox/PC. Like a gang or cult on the south side fighting for territory. " This is Tequila territory!" yada yada. Well, Union VGF has become so easy to navigate over time that I think this has become less of an issue to me, since it's more of a sorting issue. Honestly, if I made a forum, I'd just have a single games sub-forum for all games, to include everyone in the discussion. A game should be able to hold its own on the same merit, despite the platform. We all should share the same hobby or interest, that being the games. The "my platform" mentality has been killing so much about what I love about games. They can get a bit messy IMO and what's the point of having loads of sections for games only a couple people talk about? But yeah this should really be MP as its coming to PC and according to Yu more consoles. I'm not sure what to make of that video. It looks ok I guess? Well its 2 years away. Maybe Yu will ask for another couple million?? The son of a b**** can look like the DC games for all I care I just want it. Is it pronounced Shenmoo or Shenmew? I still can't believe this is really happening. If higher res versions of Shenmue 1/2 came with it I'd be all over this. Such a unique series. Well. Then you should be pleased. They seem static. But it is an indie game, so might have to cut it some slack. yeah, it's damn ugly looked better on DC them faces man they look like plastic. The models just look like wax hell even the DC version had details in the models. The environments look pretty nice. The characters don't really bother me honestly. They look the part. But they could be better. The muscled guy looks like he's had more plastic surgery than Mickey Rourke. Is it me or does Ryo look like Vageta? Rest easy if you thought the Shenmue III trailer was real bad. 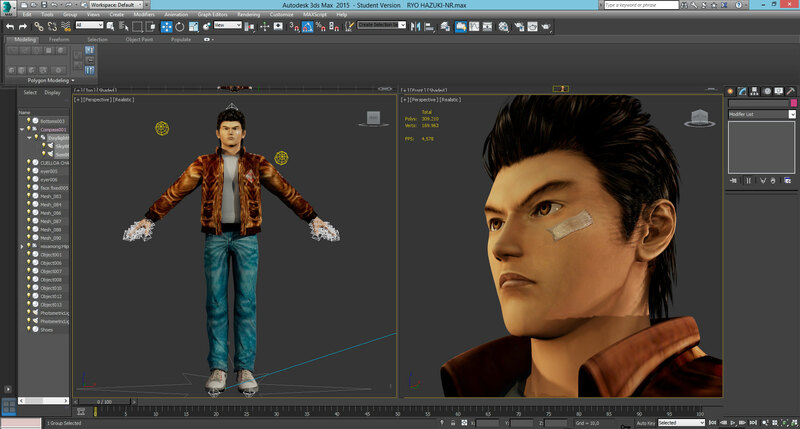 In a recent interview, Yu Suzuki talked about the "stiff" facial animations, saying that they're temporary. Phew. Suzuki: It's a completely in-game trailer. Suzuki: Yes, we haven't yet put in the facial expressions. Until a month ago, we had put in the facial animations, but for the moment, they have been removed. Still better than Mass Effect at launch. This game is never happening, because it's a PS4 game. Haven't you guys learned your lesson yet? Oh wait.. apparently delays are an industry thing now. I kinda agree. 2018 is HIGHLY optimistic in my opinion. Anyone who thought 2017 was an option were deluding themselves (and was rather Shady of Yu). Hippopotimus s***. Ima buy the FFVII-Remake Shenmue Triple double pack next April. Just you see.